It's a draw.. . Wallpaper and background images in the Calvin & Hobbes club tagged: calvin hobbes funny. 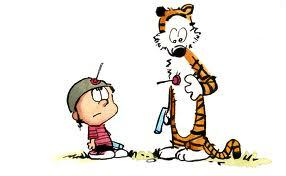 Calvin and hobbes mean buiness!